There's a general misconception among many business owners that once they have an attractive website for their business, they really don't have to worry about anything else. With this mindset, entrepreneurs can neither craft a suitable marketing technique (especially geared towards their intended audience), nor can they differentiate themselves with interactive design and branding. Eventually they end up with a website which fails to achieve anything worthwhile for their business. The good news is that, from the start, business owners can easily solve this problem by hiring an organization with professional web design as well as other marketing capabilities. There’s no refusing the simple fact that it takes more than just a pleasing website to help your business prosper online. A good website is certainly not just one that looks pretty and entices visitors, but one which delivers results while driving success through your business goals. The minute someone visits your website, they'll form an opinion of your business based on the presentation of the site alone. Your website should not just grasp the attention of your target audience, but also create a lasting impact on prospective buyers. An unprofessional website, however, could be a big turnoff and also can drive away potential clients. Many of you might have heard the saying "First impressions last forever” -- the same applies here. Since web design is growing by leaps and bounds, it's a requirement for websites to adapt to the changing demands that come with it. In today's online landscape, it’s never been this important to keep things relevant and engaging in this way. A few of the new terms that are being associated with web design include “browser-less content", “uncluttered graphics", “responsive web design", etc. Professional web design companies work on a range of web design tools and innovative technologies. They also stay abreast the current and emerging advancements in web design and also possess the required skill set to boost your website with the appropriate technology, design, and content needed. Your brand is the heart of your business. Thus, acquiring creative design solutions of a reputable company allows you to showcase your business as one-of-a-kind, which moreover makes your brand famous in a broad field of competitors. This helps you a great deal in gaining a competitive advantage in the industry. Just having a good-looking website won't do the job anymore. Any sort of organization which wishes to flourish and continue to be competitive in the online marketplace must have a professional website. This is why it is often a good idea to have your business website built and managed by a reputable web design company. 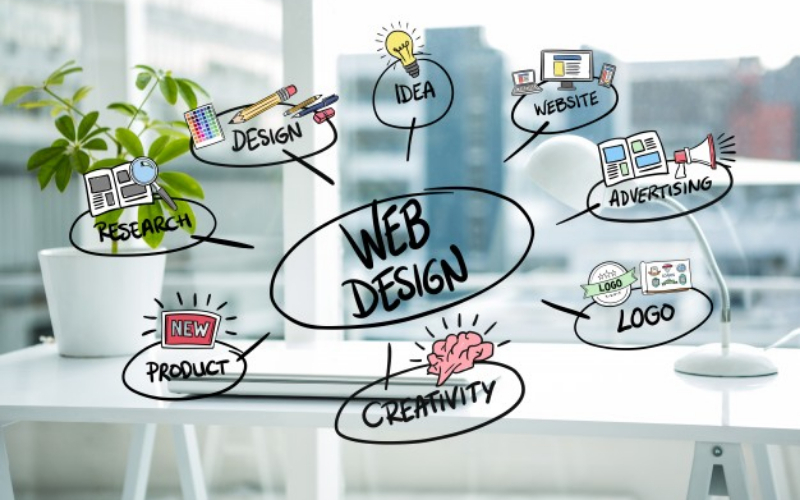 The reason being that reputable companies have exceptionally skilled and experienced web designers who are constantly in sync with the most recent technologies, as well as trends which they integrate into their clients' systems. Working with an experienced web design business is a great way to create a sturdy and consistent brand image for your business. A professional web design business understands your requirements like no one else does. It encompasses all the aspects which are important for keeping you in accordance with the current web design trends and methodologies being used in the marketplace by popular web professionals. Also, this makes sure that the website they design for you generates traffic, reflects your policies, and also increases sales for your business. So if you're searching for a practical, advanced website for your business then contact us today. We are a professional web design company in the Silicon Valley, California providing innovative and efficient design solutions.